Mr. O’Meally is an equity member of the labor and education department at Hodes, Pessin & Katz, P.A., and has worked closely with superintendents, boards of education, private schools, and private sector employers for over twenty years on a wide-variety of matters including collective bargaining, employment litigation, student discipline and special education, drug and alcohol issues, construction and procurement issues, and Open Meetings Act compliance. A 1984 graduate of the University of Maryland School of Law where he served as Executive Editor of the Maryland Law Review, Mr. O’Meally clerked for the judges of the United States Court of Appeals for the Fourth Circuit upon his graduation. Mr. O’Meally is an Adjunct Professor of School Law at Johns Hopkins University, Goucher College, McDaniel College, and Morgan State University and has given numerous presentations on employment and education issues for the North American Association of Education Negotiators, the Education Law Association, the Maryland Association of Boards of Education, the Maryland Negotiations Service, the Association of School Business Officials, the Public School Superintendents Association of Maryland, the Office of Administrative Hearings, MICPEL, and other groups. 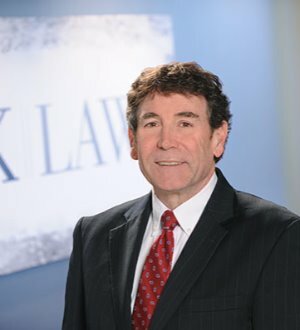 Since 2006, Mr. O’Meally has authored the chapters on “Employee Relations and Rights” and “Employee Discipline and Discharge” in the annual editions of the Maryland School Law Deskbook published by LexisNexis. Mr. O’Meally regularly serves as a chief negotiator in collective bargaining for school systems as well as an advisor to school system negotiations teams, and he was the chief negotiator of the innovative performance based collective bargaining agreement between the Baltimore City Public Schools and the Baltimore Teachers Union as well as several other performance based collective bargaining agreements for non-certificated employees. In addition to collective bargaining negotiations, Mr. O'Meally has successfully represented school systems in a number of labor arbitrations, unfair labor practice disputes, scope of bargaining disputes, and impasse mediations.